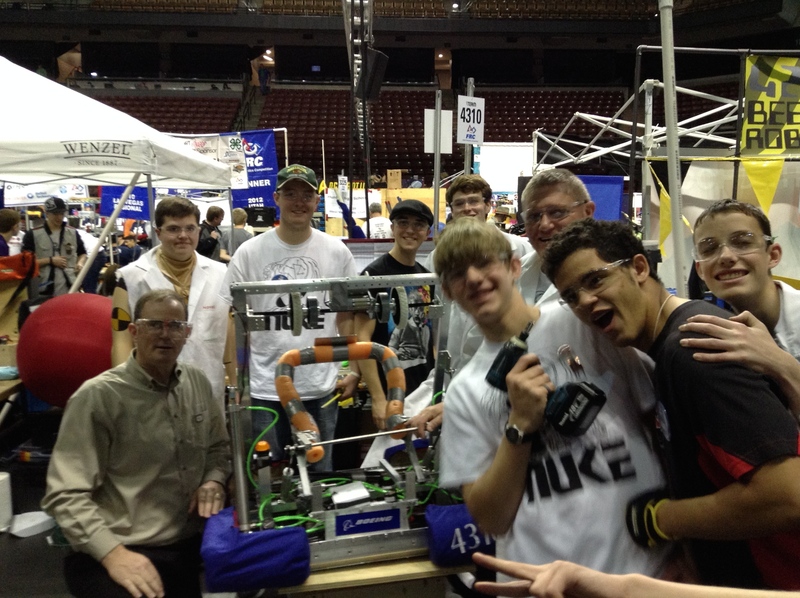 FIRST Robotics, Day 3 was loads of fun. 44 Robot teams, match after match, and then the finals. My team ranked 22 out of 44 but they were determined and all smiles; they had a great time improving the robot each day, each hour, each minute. I’m glad I have been able to participate as a mentor. If you are in the right age group, consider getting involved in FIRST next Fall. This entry was posted in Design, STEM and tagged FIRST, FIRST Robotics, FIRST Robotics Competition, FRC, Robot teams. Bookmark the permalink.